Surrender at 20: Red Post Collection: U.R.F leaving soon, Champ Up discussion, new /ALL CHAT, Context on Quick Cast w Range Indicator changes, SR Duck, and much more! Red Post Collection: U.R.F leaving soon, Champ Up discussion, new /ALL CHAT, Context on Quick Cast w Range Indicator changes, SR Duck, and much more! Tonight's red post collection includes a reminder that U.R.F will be headed back to the workshop on April 13th, Riot Scruffy continuing the discussion in various champion updates in development, context on the recent changes to Quick Cast with Range indicators, a new episode of /ALL Chat dedicated to URF, more tickets becoming available for MSI + a heads up that the Fnatic, SKT, & TPA skins will return during the event, a note on the Summoner's Rift duck, and more! U.R.F has just about run it's course on live as the queue will be leaving on April 13th! "There’s only a few days left to embrace your inner Teemo and terrorize the URF battlefields. 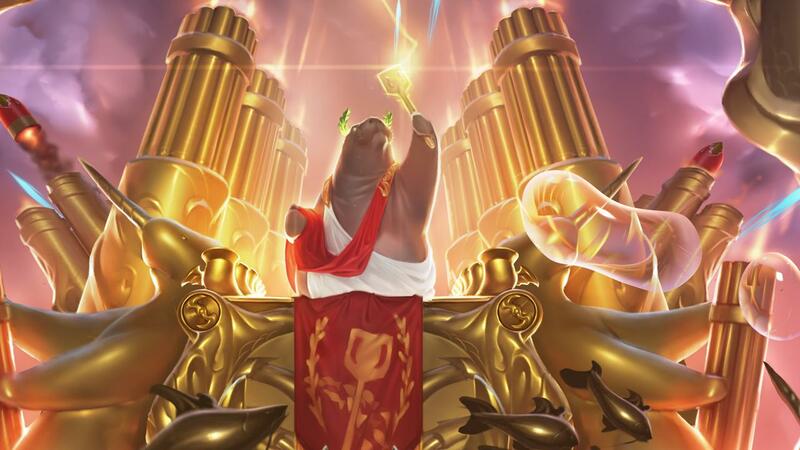 Ultra Rapid Fire returns to the Featured Game Mode workshop on April 13 at 2 AM PDT, so if you’re still looking to grab the Thinking Manatee Icon for finishing a game of URF or you want to try out your favorite champ in the hyperactive maelstrom of mayhem, the time is now! A lot of stuff to get through, but we know it’s easy to get distracted by all the insanity of URF, so thanks for taking this quick break with us, and we’ll see you on the battlefield!" Following his discussion on various champion updates yesterday, Riot Scruffy hopped back on the forums to answer more questions. This doesn't mean 100% expect to see these in the next year, sometimes things get modified or put on hold. Not every one of these projects is like Sion in size and scope as well, the update is meant to fit the needs of the champ. Also, don't have a lot of details to share on the specifics of these, but info will come in time. Hope that answers your question." "Gameplay and some visual in all of the above. Varying sizes." "We really cant give timelines for most of them, but as you are interested in Ashe I can say that it is one of the closest to done." "You can sleep easy, critplank will still be a thing." -Ninja tank! Even though this isn't the first thing you think of when you look at a martial fighter like shen, it allows him to differentiate himself in both how he is durable (possibly more dodging/blocking than pure meatshield) and how he targets and disables his opponents. -Shadow dash is a pretty cool high moment, want to build up and around this rather than scrap. -His laning and play pattern can be made more interesting and interactive for both shen and his opponent. We know that we can do better with top lane gameplay than marking your enemy and trading autos with them. His current pattern leads to a "stat check" win loss condition more than we would like. This is just my very rough thoughts, but hopefully it makes sense and doesn't seem totally off base." "The work Xelnath was doing on Yorick a while back was put down when he moved to other projects. Since then we have just been busy with the other projects that we had already started on. As some design and other resources opened up recently, we assessed which champs are the highest on our priority list and Yorick was a landslide winner. So this is why he is back on track and the whole team is committed to making him really great. Expect that this will take time though, because doing it right isn't the same thing as doing it fast. PS - Your passion for getting Yorick fixed isn't misplaced, that guy has so much room to be better." "For Yorick? Definitely Sion level. He will need full gameplay, visuals, sounds." "Warwick is not currently getting worked on. Zenonthestoic had some good ideas in the work he did about a year ago and we will definitely pick it back up some day but he's not currently in flight." "ZenontheStoic's working on a new champion at present. We'll definitely draw on the rework he was working on whenever we go back to do work on Warwick though." "This is a good question and there is a lot going on here. In theory we will never reach the day where we can say "OK we're done updating champions!" Every time we learn and improve our craft the bar gets raised so even after we have done a pass on every champion in the game we will look back and see ways to improve the ones we did early on. Increasing the rate of releases is always something we want to keep pushing for but we are focused on delivering good quality first and foremost. A great update can last forever even if it took a little longer to make. As far as champions left in the dust, we don't have this mindset at all. All of those champs listed (nunu, morde etc) are ones that we want to improve on too." I remember a Lucas quote about you never really finish what you are working on, you just learn to get it to the point you can live with it. Is that partly what you are hinting at? You can live with a change now and as you learn more and get to the right point, you go back again? Also as a question to one of your other responses, what's the biggest difference between the live balance team tweaking a champ like Veigar and what the update team does? That's actually very true (the lucas quote). We would say something like "after the update, Sion is good enough for a while" but he is really never perfect. The live balance team tweaks champs for both balance (number tuning patch to patch) and solving relatively small or urgent gameplay problems. We get to take a full top to bottom look at an older champion and build them from the ground up. In the end it's mostly a matter of time and scope, they work on something for a few weeks and we work on something for a few months." Following the smorgasbord of discussion on Ryze's upcoming gameplay update yesterday, we have a few more posts! Strong anti-mobility. Rune Prison remains as a point-and-click instant root on a target. Difficult to burst down when played well. Even though Frozen Heart is less core on this Ryze so he won't just always be baseline tanky, he has a shield and instant root that makes him a less viable target for assassins and the like. Very powerful in double AP comps. Percent MR shred enables double AP comps to not fall off so hard against teams that run heavy MR. I'm going to assume the discussion here is really about Ryze and not Annie. Skillshots are certainly a common way to add a little more depth and opportunity for mastery for a champion, and I think it's fair criticism that we go to that particular tool in our toolbox a little too readily. We've tried other approaches with mixed success. The updated Sona for example was designed with the intent that you can try and stick near your allies to let them share your auras, but only when it was relatively safe from enemy area attacks to do so. There are movement and positioning minigames to play with champs that aren't all skillshots. In terms of why do we feel the need to back off of having targeted attacks, it's a more nuanced topic. I am not a fan personally of having easy-to-play / easy-to-master champions that are doomed to a lower win rate at higher tiers of play. (Because why would anyone gravitate towards learning the nuance of harder-to-master champions if it didn't pay any dividends for them in the end?) But that's also a controversial topic and I know there are Rioters who disagree with that philosophy, so it's the kind of discussion on which we would love to hear more from you guys. 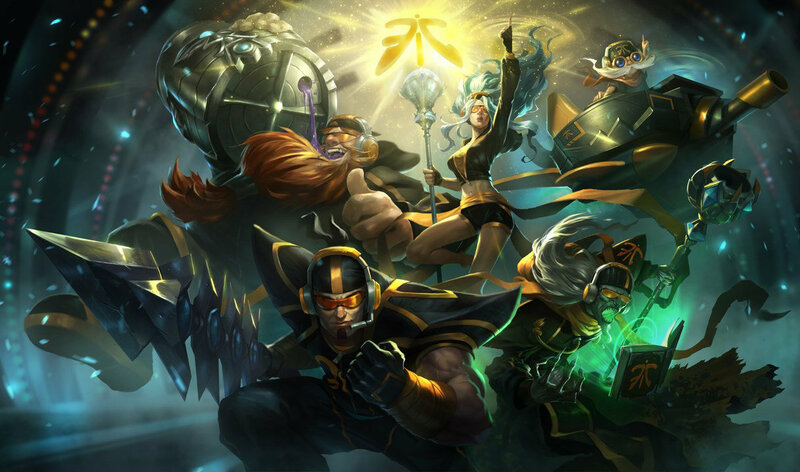 In the longer term, we'll try to come up with opportunities for instilling mastery in our new champions and updates without always relying on skillshots. Though skillshots are cool too and we aren't about to eliminate them. On the other hand, if you really did want to talk about Annie, carry on. :)"
In a reddit thread inquiring status on the 5.7 changes to how using "quick casting" with the range indicators enabled, Riot Rayven commented they are currently working on a fix. "Hey folks, we'll have more context ASAP, but I wanted to jump in here to let you know that we are fixing both quickcast with range indicators behavior and the right click cancel bug (should be on mouse down, not mouse up)." Due to internal miscommunication, two important changes to Quick Cast shipped in patch 5.7 but never made it into the patch notes. So what did we change and why? The first change is a bug and affects normal and quick cast with range indicators only. Using the right mouse click to cancel abilities should cancel on mouse down, not mouse up (as in releasing the button), as you may have noticed. This has made cancelling abilities using the right mouse click difficult and unresponsive. The second change was intentional for quick cast when used with range indicators. In order to make chucking out a quick series of abilities more responsive and predictable (think Brand, Annie, or Ryze unleashing their combos), we changed this behavior to fire the first ability held down when the second ability is pressed. Basically we assumed that if you pressed a button, you were committed to using that ability (a la quick cast) and if you decided to press another button, that was because you were trying to cast something else. What we didn't account for was that some players were using quick cast with range indicators in a different way, where they would hold down each button to get the range of the ability before releasing it to pull off a combo. In other words, they were basically 'queueing' up abilities by holding down buttons - releasing a button was their version of "quick cast." That said, from a lot of discussion it's clear we've introduced tons of disruption without much context for players who used it to test ranges. Sorry! We are fixing the right mouse cancel bug and re-implementing the old quick cast with range indicator behavior. In other words, abilities will continue to fire on button release, rather than on button press. In the meantime, we're going to be re-examining the problem space for players who want to better understand their champion’s ranges while maintaining the responsiveness of true quick cast (that is, on button press). Any future solutions here will not disrupt existing play and most likely live on their own as an option. One last thing, to alleviate some of the existing pain of using quick cast with range indicators, we’ll be adding individual ability and item binds for this input type in an upcoming patch. Thanks for your patience and feedback here! We'll be trying to get this in as soon as possible (it could potentially take as long as patch 5.8 due to the scope and stability of the changes, sorry!). I will be around throughout the day to answer questions or try to give more context into what has changed. I hope this helps clarify things. "One other fix that was made was making Drag Spells (with QuickCast/QuickCastWithIndicator) cast on LeftClick as well as releasing the button. RightClick still cancels them. Previously LeftClick also cancelled them. Hopefully this helps make Rumble ult a bit easier, as I know I've definitely suffered from this before!" It's been a while but Riot Vesh's previously discussed experimental attack-move changes are just about ready for live! "Attack move improvement looking like it might make it into 5.8. Thanks for all the awesome feedback from when it was on PBE earlier :)"
"Also it's looking like we'll be able to add a menu option to turn it off if you want the old functionality." More information on his Attack-Move changes, as well as examples, available in this thread from earlier in the year. "we r aware. Its a bug most likely caused by a deeper code change. I'll check in with skins team asap"
"the root was literally just found. Complex cause, easy fix. Skins will implement fix for this patch"
 "it should be fixed with this coming patch (with the content that's currently on PBE)"
Ghost Bride Morgana's R chain sounds are also slated to be fixed next patch. Speaking of URF, a new episode of /ALL Chat devote to LoL's favorite manatee is out! "On this special episode of /ALL Chat, the crew dives deep into the big blue watery history of everyone’s favorite manatee. Urf has a storied past that goes all the way back to the League beta, and we’ve got Rioter Jeff Jew on to help us tell the tale. A new Riot sponsored Battlegrounds tournament series has been announced for EUW and EUNE players! This is a series open to summoners of any skill level from eligible countries and the first round will kick off later this month. Check out the release announcement for an introduction and eligibility, or just head on over to the Battlegrounds website for more information! Wit the Mid-Season Invitational fast approaching, Riot posted an announcement earlier today with regarding more tickets for event are going up for sale on Saturday, April 11th at 7 AM PDT. :The excitement is starting to build as we approach split playoffs worldwide. Top teams are battling it out to determine who will emerge as champions and will fly the flag for their regions at the 2015 Mid-Season Invitational (MSI). Currently, we’re putting the finishing touches on making sure that MSI is an amazing and memorable experience for all the players and fans. With the high demand to attend this international clash on the Rift, we’ve opened up more floor seats to add to the sold-out floor sections at the Donald L. Tucker Civic Center for MSI. Tickets will go on sale on Saturday, April 11 at 7am PDT on the via the ticket page. Ticketholders will be able to sign-up to be gifted a Fnatic, SKT, or TPA championship skin for each day that they attend of the tournament. 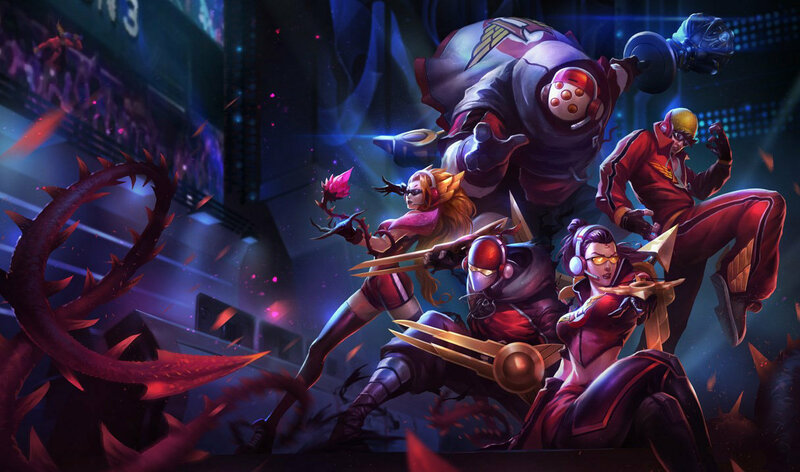 For example, if you attend all four days of 2015 MSI, you’ll have the opportunity to unlock your choice of four esports championship skins from the Fnatic, SKT, and TPA lineup. If you attend only one day, you’ll only have the opportunity to select one skin. 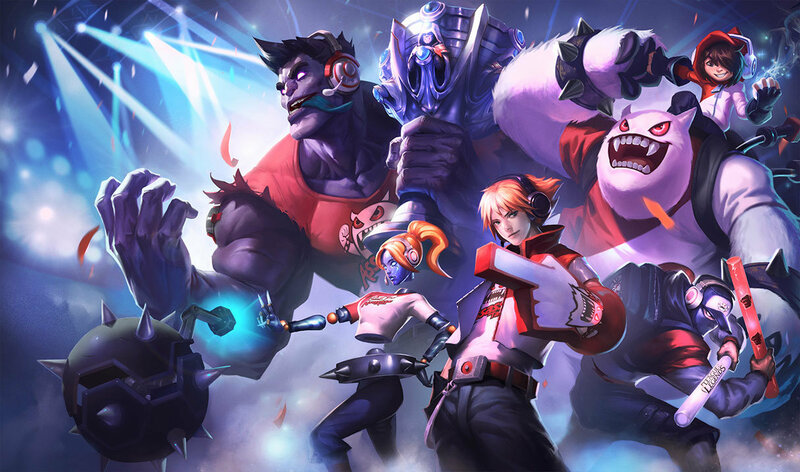 During MSI, we want all esports fans around the world to be able to celebrate, so Fnatic, SKT, and TPA championship skins will return to the store. We’ll share more details about the other Mid-Season Invitational inspired in-game goodies and limited time sales in the coming weeks. The Mid-Season Invitational will not only let esports fans show their fandom on and off the Rift but we’ll also have plenty of League activities on-site including merchandise, opportunities to meet pro players, and more. We’ll provide a final roundup of everything you need to know about the Mid-Season Invitational when we get closer to the show. Stay tuned to Lolesports and catch the Playoff editions of PTL to stay updated as teams qualify for the Mid-Season Invitational. We can’t wait to see what region will emerge victorious on the international stage at the 2015 Mid-Season Invitational!" More information on the teams involved and structure of the Mid-Season Invitational are available here. For those who may have missed it in the post, the Fnatic, TPA, and SKT championship skin sets will be returning to the shop during the Mid-Season Invitational , which kicks off May 7th! "Ah he's there, but I believe he has a 10% spawn chance for a game. A rare elusive duck." Only you will see him - other members on your team or enemy team will not. He spawns between mid's bottom brush and the "single" brush above dragon pit. He'll run away and is only around for a short time at the start of the game.